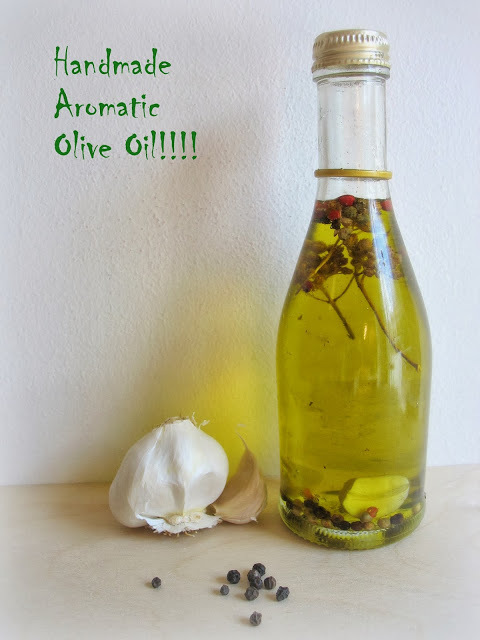 This is an amazing an amazing and really easy recipe to create a tasty aromatic olive oil. Believe me when the oil will be ready you will going to use it really often in your salads, your dishes or even taste it with bread! So what will you need? This is something depends on you…I mean what your favorite aroma are. Put all of the above materials in a bottle and leave them for at least 10days. When you will open it again…you will love the aroma!!!! Instead of Origan, you may use Rosemary or Thyme and the result will be also amazing!!! You do not need to use too much of it, but a few drops in your salad or your food are just perfect. And if you are just too hungry to cook…then put a few drops in your bread and use also cheese or feta cheese or tomato and eat it as it is or bake it for a few minutes in your oven. A really delicious and fast to make and of course healthy snack!!!! The Olive Oil sounds very good. My husband would love that. I am going to make some this weekend. I have tried it and I stil use it. Really great aromas and taste! great tip. I will use it!